CHICAGO­— One can make the argument that college football’s regular season is the best in North American sports. On the other hand, the sport’s postseason system has always been under scrutiny in one form or another. While the current College Football Playoff system begins its fifth season, the games are decided on the field with an undisputed national champion as opposed to some of the previous systems— the Bowl Championship Series (1998-2013), Bowl Alliance (1995-97) and Bowl Coalition (1992-94), one issue has always been what the sweet spot is in terms of the number teams that would make the CFP a perfect system for everyone. 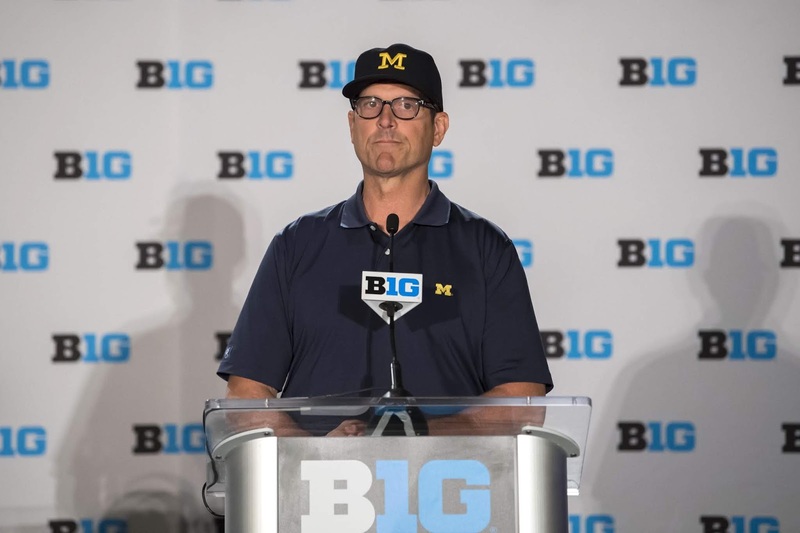 The debate has grown in the last couple of seasons, but more fuel continues to be thrown to the fire as coaches Scott Frost (Nebraska), James Franklin (Penn State) and Jim Harbaugh (Michigan) addressed their views on the CFP during Big Ten media days on Monday. Franklin shared a different viewpoint than Frost and thinks the current four-team playoff format works. Harbaugh went straight to the point on how the playoff system could expand. Only time will tell this season if a Big Ten team can put together enough quality wins and not lose a pair of games in the process to get back into the CFP, but until then, the debate will continue and grow with each and every passing day.